The Prescription Drug User Fee Act (PDUFA) was enacted in 1992 to allow FDA to organize and hire staff with the ultimate desired result of decreased time to an action on the marketing application. Each sponsor of a New Drug Application (NDA) or Biologics License Application (BLA) must pay a Prescription Drug User Fee under PDUFA. User fees for the upcoming year are announced in the Federal Register in August and go into effect on October 1. NDAs/BLAs filed on or after October 1 must pay the current effective Prescription Drug User Fee. There is, therefore, some incentive to filing an NDA prior to October 1. Did PDUFA User Fees Increase First Cycle Approvals? The conclusion is a resounding maybe. As in most cases, there is no single action (i.e., PDUFA User Fees) that results in an ultimate outcome (increased first cycle approval of NDA/BLAs). Systems, like life, are not static. The rate of first-cycle approvals demonstrated a more consistent increase with the introduction of eCTD in the early 2000’s. FDA found eCTD applications easier to review as there was no more paper to lug around and leaf through; information could be located and verified simply by clicking. 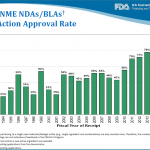 A consistent yearly increase in the number of first-cycle approvals started in 2010 and culminated with a first-cycle approval rate of 95% in 2015 (refer to FDA’s graph below). PDUFA V, introduced in 2013, mandated more frequent communications between FDA and the sponsor, including mid- and late-cycle meetings. The introduction of PDUFA V in 2013 doesn’t totally explain the increase in first-cycle approvals, however, since the increase in first-cycle approvals started in 2011. It’s possible that FDA started improving communications during preNDA/preBLA meetings in 2010/2011, prior to the codification of PDUFA V; most legislation requires pre-planning and hopefully some practice runs. The current historic high rate of first cycle approval, 95% in 2015, could be bolstered by clearer communication during the preBLA/preNDA meeting to those applicants whose data didn’t yet support a BLA/NDA application. These sponsors may have delayed filing until the required data was incorporated, and that in turn would add to the increased first-time approval rate. The PDUFA fees established in 1992 enabled FDA to hire more reviewers, and that logically contributes FDAs ability to review more applications and perhaps also to first-time approvals. Other factors such as the introduction of eCTD, which forced more uniform and thus higher quality submissions, and increased communication with FDA also had an impact. Given the data in FDA’s graph above, the factor with the most impact is an increase in FDA communications. However, an increase in FDA communications could not have happened without the PDUFA fees that enabled hiring of more FDA reviewers. A sub-optimal number of FDA reviewers means that reviewers have less time for the valuable communication that helps clarify submissions. So did PDUFA Fees increase first-cycle approvals? Maybe. I suspect that the increase in first-time approvals is based on more than just 1 factor. Assessment of the Program for Enhanced Review Transparency and Communication for NME NDAs and Original BLAs in PDUFA V. ERG 2015. DIA EDM Webinar. eCTD Update 2013. http://www.fda.gov/downloads/Drugs/DevelopmentApprovalProcess/FormsSubmissionRequirements/ElectronicSubmissions/UCM382855.pdf Last accessed 15 December 2015. PDUFA I to PDUFA III: An evolution in review progress. 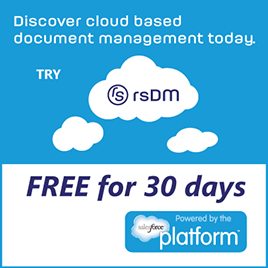 http://www.fda.gov/AboutFDA/ReportsManualsForms/Reports/UserFeeReports/PerformanceReports/ucm209342.htm Last accessed 15 December 2015. CDER New Drug Review: 2015 http://www.fda.gov/downloads/AboutFDA/CentersOffices/OfficeofMedicalProductsandTobacco/CDER/UCM477020.pdf Las accessed 18 January 2016.